9.Packing design: Do your own design. Please note that these packing design on web just for your reference. Not an available design. 3. Storage: Store in cool & dry place, avoid direct sunlight. ·Take noodles cakes and break into pieces. ·Add 1-2 cups of rapidly boiling water. Use a fork to delicately sep arate the noodles. ·Let it boil for 1-2 minnutes. ·Afterwards,grain off all excess water. ·Take a microwaveable dish and place the noodle cakes in it. ·Take one cup of boiling water and cover the noodles with it. ·When the noodles have cooked,use a fork to lightly separate them.Drain all excess water and sprinkle with seasoning. Our factory noddles are made of choice quality of flour and they are superior in quality,Delicious and highly nutritious when taken . OEM produce. Please note that these packing design on web just for your reference. Not an available design. The packing & instant noodles weight can be made on customers demand. 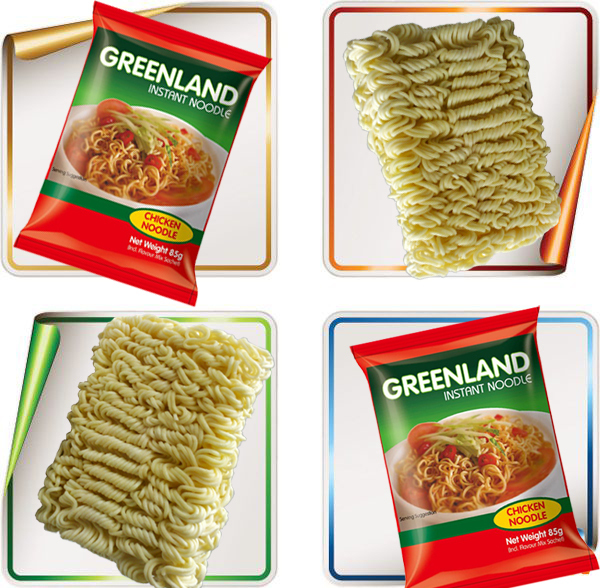 Looking for ideal Instant Noodles with Bag Manufacturer & supplier ? We have a wide selection at great prices to help you get creative. All the Chicken Flavor Instant Noodles are quality guaranteed. We are China Origin Factory of Chinese Instant Noodles. If you have any question, please feel free to contact us.